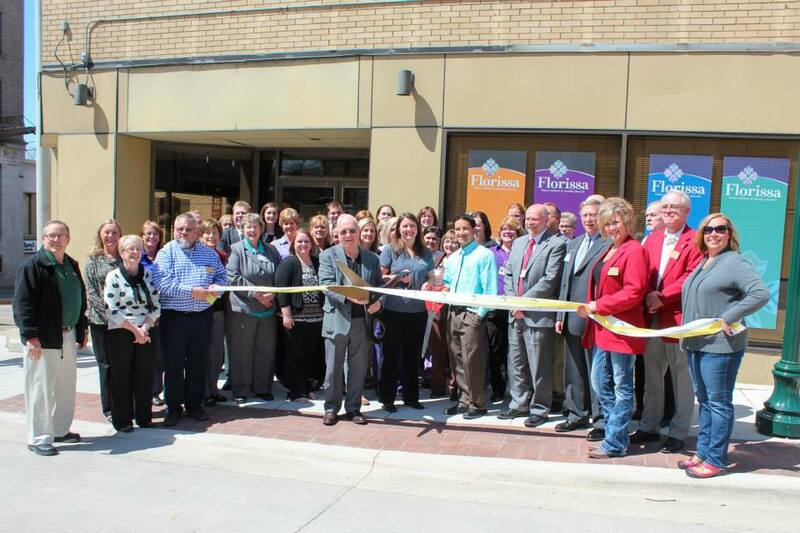 Illinois Rural Health Network leaders gather at the April 2015 ribbon-cutting ceremony for their new Florissa facility in Dixon, IL. To be an accessible system of care that promotes early identification of and provides resources and services for children at risk for developmental, medical, emotional, social, and/or behavioral difficulties, enhancing families’ ability to ensure the healthiest outcomes for their children while strengthening and promoting inclusive practices in our community. Laura Watters, network director for the Illinois Rural Health Network, was interviewed by NCHN’s director of member services to share information on the network’s characteristics, key learnings, accomplishments and challenges. Q: In a “nutshell,” how would you describe your network? A: We are a unique collaborative of agencies that provide services to children and their families. We represent diverse types of providers, including developmental disabilities, mental health, public health, education and medical. Our commonality is serving children. We also provide education and support for families. We provide training and increased awareness to those adults supporting and working with children. We currently operate on grant funds and revenues generated through service provision. Q: Do your services target a specific subset? A: We initially focus services on autism, but because we’re rural, we need to target youth with developmental, medical, social, emotional or behavioral difficulties. We are attempting to increase resources to be able to serve kids with the most complex needs. A: Learning and understanding what each other does and having referral sources back and forth. Another is having a psychologist and a pediatrician available for consultation so we are a resource for other professionals. Our collaboration helps improve access to specialty treatment. Another benefit is training. We provide quality, unique training that wouldn’t otherwise be available in our area. Q: Are there any other types of organizations you would like to be part of your network? A: We are working on how to better include schools. We have some good relationships with our special education organizations, but we need to make sure more educational institutions are included and trained. We would also like to get more involvement with health departments. Q: What are the biggest challenges you and your network face working in rural health care? A: Just the sheer access to specialty services. Like pediatric neurology. We have none nearby. Transportation is a challenge, and it’s more difficult when attempting to reach specialty providers. Q: On the other hand, what are some advantages of working in a rural environment? A: The relationships. We know each other as providers. Most of us have been around a long time and respect each other. This helps us tackle some of the challenges. We are more efficient with services and resources, and this results in better care, more personal care. I feel like because we’re working together and talking, we are getting the most out of funding and resources. Q: What resources have you found helpful along the way? A: Some providers in our network have a lot of billing experience, so we can learn from them. Also, attending national conferences to hear and learn from other health care providers and networks has been helpful. The access to relationships and trainings are very helpful. Realizing we might think we are rural, but there are a lot of others that are more rural. That puts our challenges in perspective. It gives me different options and ways to look at things. It helps you realize you’re not alone and you can learn from others. Q: Have there been any surprises to you or your members as the network has developed? A: Our biggest surprise is the complexity of everything. We are comprised of different types of organizations, so we have different regulations, rules and governing bodies. The complexity of that makes it harder and takes longer to accomplish things. Q: How is your network dealing with this complexity? A: We‘re focusing on sustainability. We’re deciding on one-year goals as well as long-term goals. This helps us break down challenges into more manageable steps. Q: Tell us about a challenge your network recently overcame. A: Our biggest challenge has been billing. You’d think we could have billers working together, but it’s not that easy, because what you can bill for varies if you’re a hospital or if you’re a mental health center. Shifting from grant covering expenses to services generating revenue to cover expenses is complicated. As we negotiate contracts, we are realizing the significant discounts networks expect us to agree to. We also need to account for insurance rejections and patients that don’t pay or can’t afford to pay. We now have a billing system in place. We’re enrolled as a provider in a large third party payor network. That’s a big accomplishment. Q: Based on your experiences as a network leader, what advice do you have for a developing rural health network? A: Plan on more time. Everything takes longer than anticipated. Starting with relationships is also really important. It goes back to you have to invite people to the table. If they don’t come initially, you have to be willing to invite them again later.